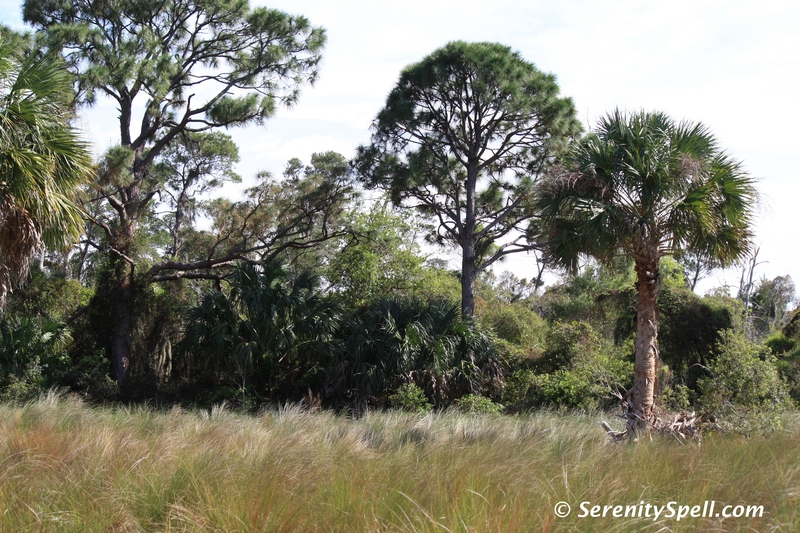 The Savannas Preserve State Park extends more than 10 miles in St. Lucie County, from Jensen Beach to Ft. Pierce. 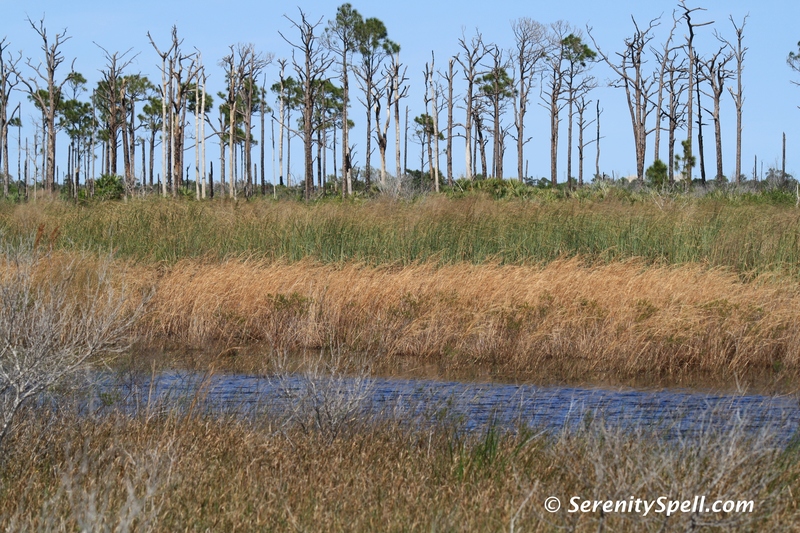 Managing nearly 6,000 acres, the preserve represents the largest and most ecologically intact swath of freshwater marshes, or “savannas,” that once extended along Florida’s entire southeast coast. Looking across their lovely vastness today, it’s downright depressing to picture the hotels that currently reside in their place. 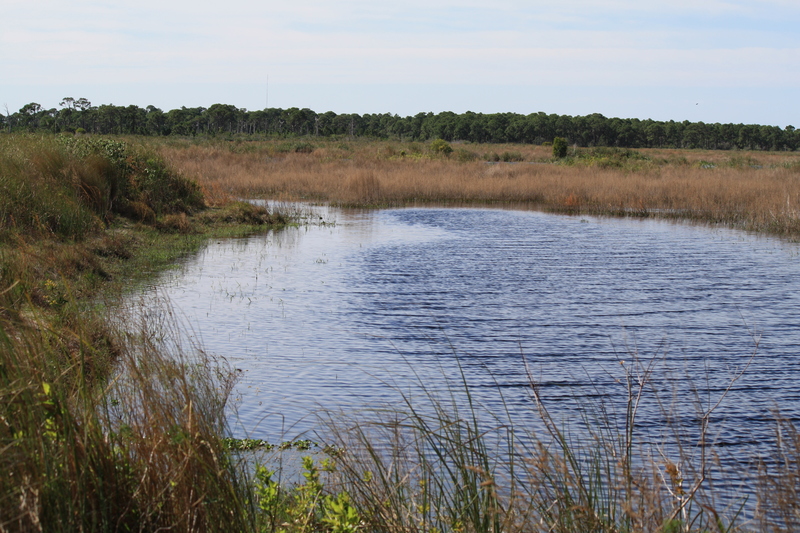 The open wetlands filter rainwater and runoff from the surrounding dunes and pine flatwoods, creating a unique biological community — and an endangered landscape — as they continue to preserve and feed vital waterways and ecosystems, including the Atlantic scrub ridge, freshwater marshes, and the estuaries of the St. Lucie Inlet. 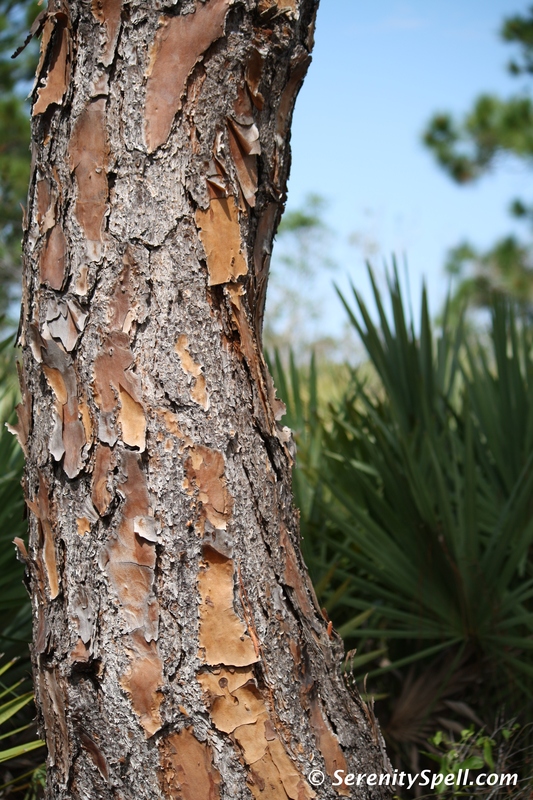 Slash pine trees in open grasslands mark the preserve, which is comprised of six natural communities: pine flatwoods, wet prairie, basin marsh, marsh lake, sand pine scrub, and scrubby flatwoods. 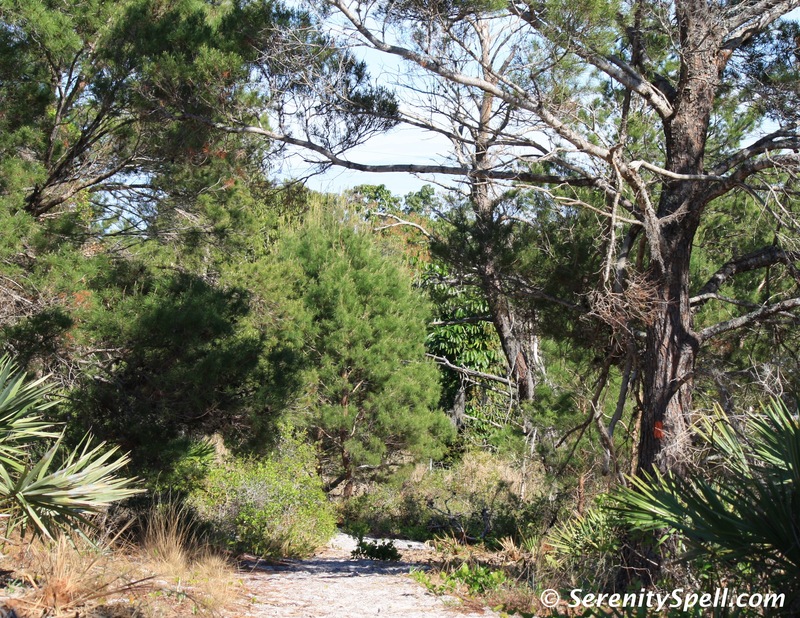 While each community is home to its own fauna and flora populations, the sand pine scrub habitat represents an increasingly imperiled ecosystem, and shelters several of Florida’s most threatened and endangered animal and plant species. 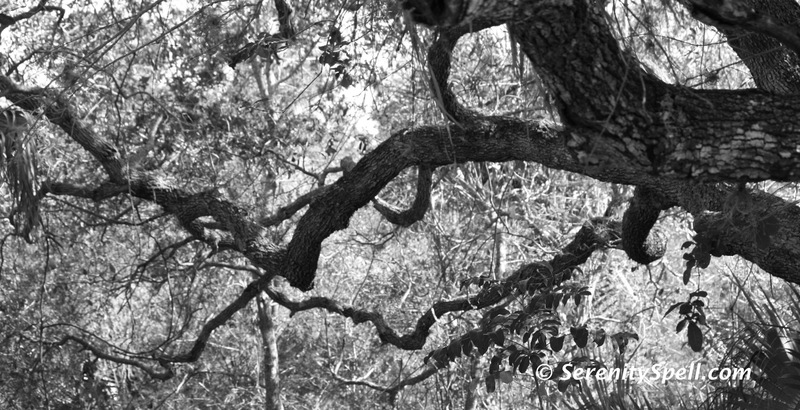 Despite our fanatical hiking throughout South Florida, we had never been to the park — and within the space of one week, “Have you ever been to the Savannas?” came up in conversation no less than three times (once from a fellow blogger). Obviously a sign! We were insanely lucky to visit on a cool, cloudy, and windy day after an unseasonably warm (read: HOT) spell. What’s good to know about the Savannas — for hikers, at least — is that there are multiple access/entry points for the park, to pick up trails. We investigated some of them at the Education Center, as well as further in the park. Afterwards, we drove east and south towards Jensen Beach (Blvd), then north on Savannah Road to check out Hawk’s Bluff, part of the park and an extension of the Florida Trail. Located along the eastern edge of the Savannas, Hawk’s Bluff is a beautiful 1-mile loop trail, with sand dunes and oak hammocks, leading to the water’s edge overlooking the Savannas. 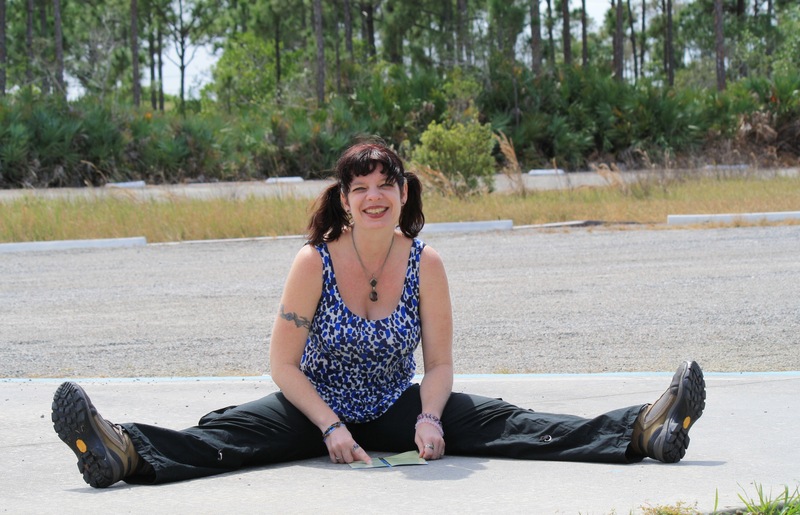 It was reminiscent of Northern California wilderness, and even a crater hike we did in Ocala. Just lovely. 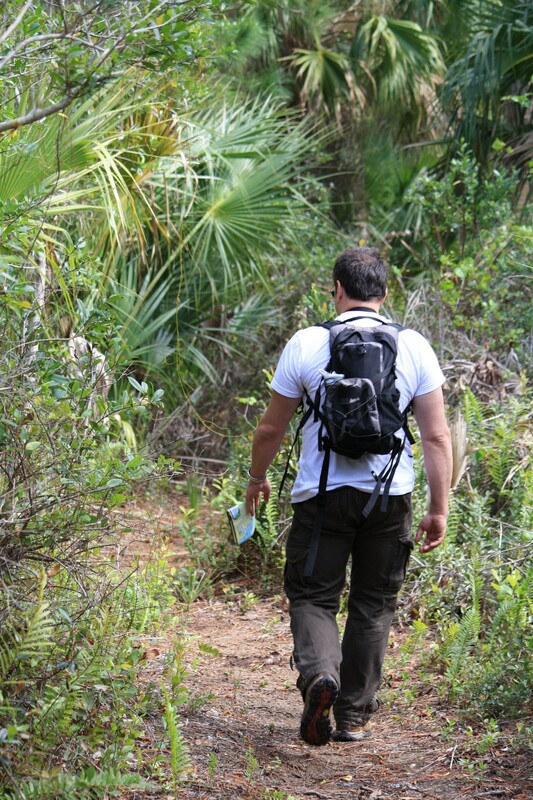 We can’t wait to return to investigate some of the other trails and access points…. If anyone has suggestions, please give a shout! The Savannas’ many wildlife species include the threatened Florida scrub jay, which is a year-round resident of the park, and gopher tortoises, alligators, deer, and sandhill cranes. American bald eagles have recently made their homes in the preserve, as well — the nests of several pairs are located in more isolated areas, and the birds have been seen by visitors as they hunt (not by us this time, sadly!). The park is also one of the few remaining natural habitats in the U.S. for the endangered (and inedible) prickly apple cactus (Harrisia fragrans), which grows along the Atlantic Ridge in the scrub regions. Over 15 miles of multi-use trails are available for hiking, biking, and horseback riding. Canoeing, kayaking, and fishing in the wetlands are other popular activities. 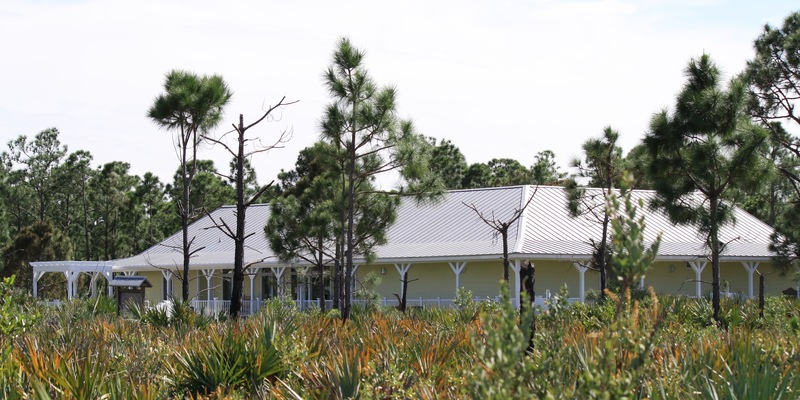 Picnic shelters are available throughout the preserve, with no reservation necessary. Archaeological evidence has dated native occupation to the area to 7,000 years ago. Native peoples lived along the Atlantic Ridge, and relied on the font of wildlife and plant life of the nearby Indian River for sustenance. The term ‘savannah’ was used to describe a series of ponds and marshes that was “discovered” here during the Second Seminole War (1835-1842) by Lt. Colonel Benjamin Pierce. Pineapples began to be planted in the area in 1879 by Captain Thomas Richards, grown from cuttings transported from Key West. Jensen Beach quickly became known as the ‘Pineapple Capital of the World’ from 1895 to 1920, due to the explosion of pineapple plantations along the Atlantic Ridge. 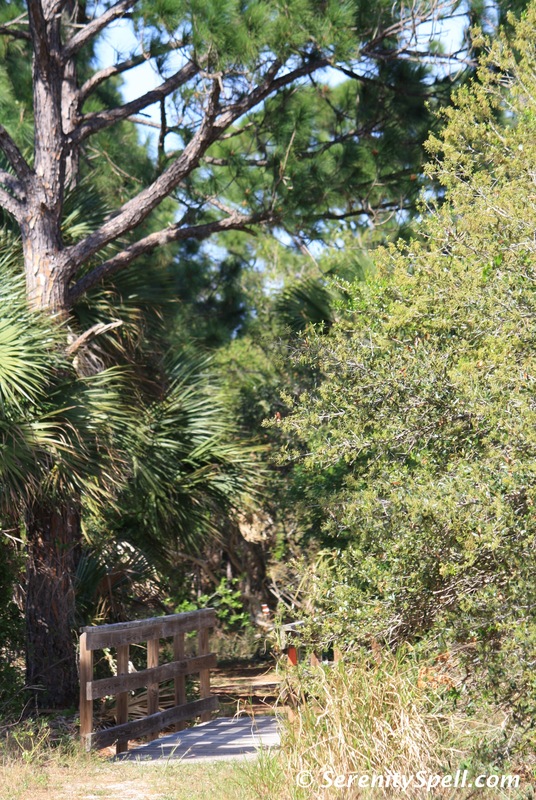 The park joined the Florida Park Service in 1977, and now encompasses nearly 6,000 acres. At the Environmental Education Center, visitors can learn about the importance of this unique and endangered natural habitat. Live exhibits, a gift shop, and self-guided tour booklets are available at the Center, which is a veritable font of information for the newbie/learning Florida hiker (we seemed to be the sole native Floridians visiting that day) — they had great reference materials, and some wonderful people holding down the fort (thanks Lucky Straeffer!). Visit the website or pick up a calendar of events and the Echoes newsletter (also provided in the weblinks, below) for more info. 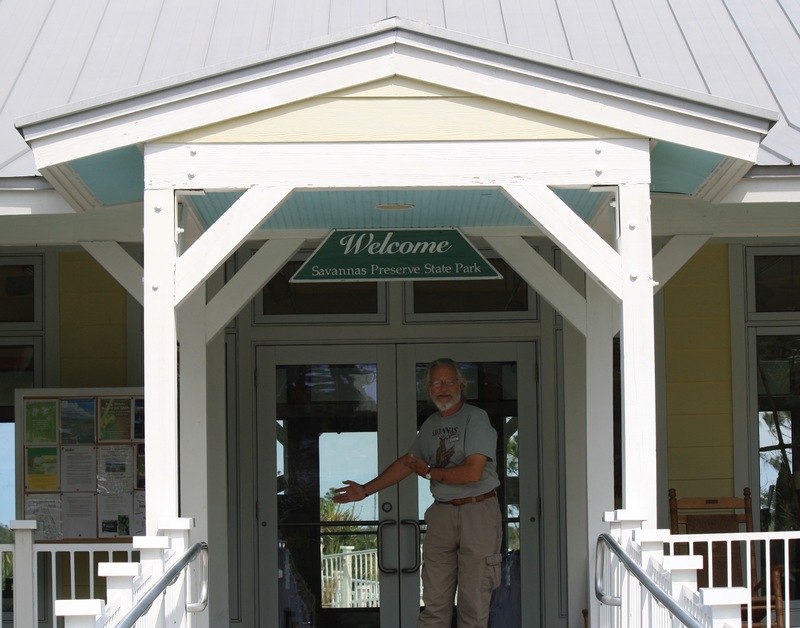 The nonprofit support organization Friends of Savannas Preserve State Park also offers interpretive guided tours and canoe/kayak trips. Hey Fey Girl! So glad you made it up our way. Happy you enjoyed Hawk’s Bluff, it is only a 20 minute bike ride from our house. I will share your post with local friends as I suspect a lot of people are oblivious to the outdoor fun that is right under our nose. Keep up the great writing.